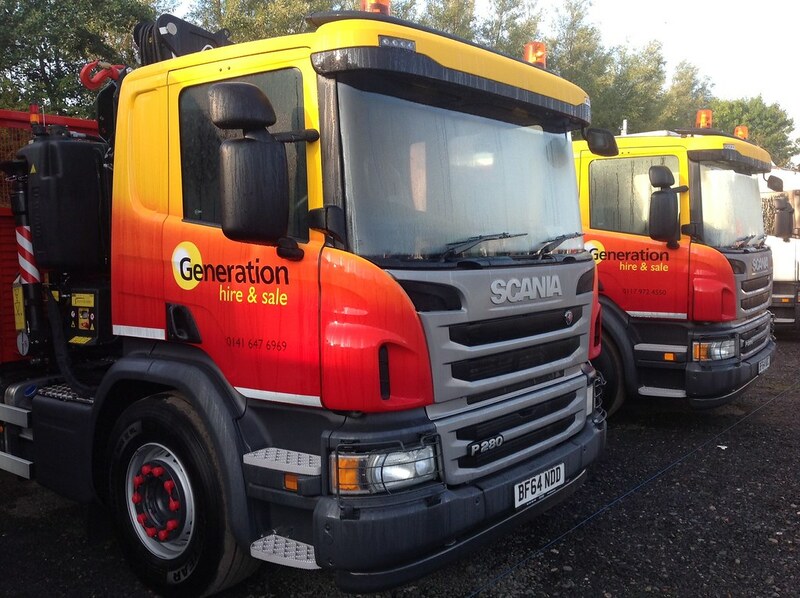 The vehicles will be used to deliver scaffolding, and will be based across the UK at Generation UK’s 13 branches. All vehicles are on seven-year repair and maintenance contracts, and will be provided in custom paint work which was adopted three years ago as part of a new image roll out. Following a fuel efficiency workshop at Keltruck’s head office in West Bromwich, Generation UK is now trialling Scania OnBoard across six of its Scania vehicles. OnBoard is a telematics product which helps increase operational efficiency and vehicle uptime, whilst saving money. Generation UK is a leading supplier of non-mechanical access systems, builders’ equipment and safety products to the construction, events, industrial and utility markets. It is the largest UK supplier of access, scaffolding, safety and training products. 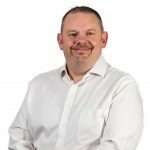 Keltruck has been working with Generation UK for over two decades. 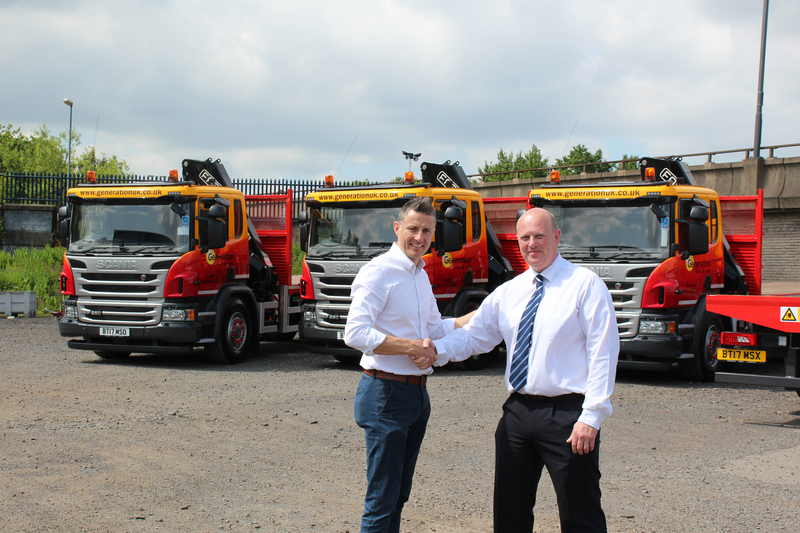 Keltruck, the largest independent Scania Distributor in Europe, has supplied six Scania P280DB6x2HNA vehicles with Fassi Crane to Generation UK.